You want great Spanish Translators and Interpreters and you don’t want to pay a fortune. That’s why we only work with dedicated Spanish language aficionado’s who not only know the language inside-out, but have a deep understanding of the business you’re in. And don’t worry, just because they’re the best, doesn’t mean they’re the most expensive. As you’d expect, all members of our Spanish language team are highly qualified and experienced but what makes them special is their subject matter expertise. At the risk of stating the obvious, language is more than mere words; it’s the encapsulation of meaning and understanding. There’s no point being able to speak the words if you understand ‘nada’ about what they mean. We ensure the Spanish language experts working on your assignment are as familiar with your sector as they are fluent in the language. 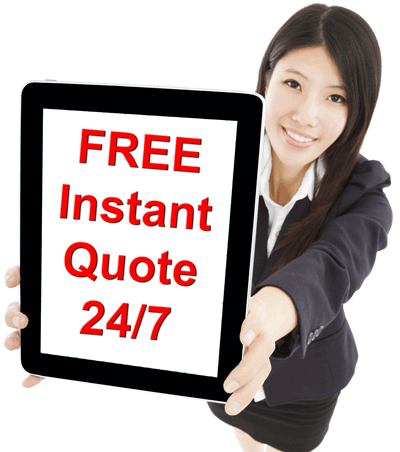 Get a free quote today, you’ll be pleasantly surprised at just how little we charge. We’ve been leaders in quality since 2007 when we became the first UK company to be awarded the coveted British Standard for Translation Service Quality. We made a commitment back then to not only meet but exceed what’s required to retain it and have passed the annual audit with flying colours every year since. But let’s be clear, this is not about us. We do it to demonstrate to you that our commitment to quality is real and you’re in safe hands when you hire one of our professional Spanish translators. The internet can be a scary place, who do you trust? With London Translations there is no risk, we’re a real company based in London and we back all our work with our 100% money-back guarantee. Not only that, we’re insured up to ten million pounds for your complete protection. We’re proud that in over a decade of trading, we’ve never had to make a claim but it proves how seriously we take quality and accuracy. Why choose us for your Spanish translation? Spanish accounts for over 30% of our annual turnover so it’s a language we know well – and are well known for. Rather than tell you how good we are, we prefer to let our Spanish translation customers speak for us. Here’s how we make sure we provide you with the right Spanish translator or interpreter for your assignment. Step 1. We ensure all our Spanish translators and interpreters are fully qualified – by that we mean they have a translation degree or a degree with a significant translation component so you can be sure they really understand their language. Step 2. We insist on them having at least 5 years relevant commercial experience – we do not expect you to pay for people still wearing their ‘L’ plates. Step 3. We ask them to prove they are a member of reconsigned professional body in the territory in which they reside – this sorts out the part-timers and wannabes from the true professionals. Step 4. We only let them work into their mother-tongue – this is one of the most important conditions for assuring quality as very few people are truly bilingual even though many purport to be. Step 5. We check out their references. Only Spanish translators and interpreters who can prove they’ve consistently delivered in the past are allowed onto our team. With over half a billion people across Europe, North and South America and other enclaves around the globe reporting fluency, Spanish is the second most spoken language in the world after Mandarin. Some 400 million-plus are native speakers, with the highest concentrations found not in Spain but in Latin America – Argentina, Mexico and Costa Rica are just a few of the countries in which Spanish holds official language status. What the world knows as Spanish is more correctly called Castilian, after the central Castile region of Spain. The country is home to several other languages besides, including Basque, Catalan and Galician, though these do not have official status. Spanish is a Romance language, so it comes from the same Latin roots as French, Italian and Portuguese. That said, many other influences have shaped the tongue as we know it today – Arabic, for example, contributed many words on account of the Muslim presence on the Iberian peninsula in the Middle Ages. Of course, in the centuries thereafter, Spain itself would become one of the world’s foremost powers. The Spanish branch of the Habsburg dynasty oversaw an empire that stretched to some of the furthest-flung corners of the globe. Most memorably, it colonised much of Central and South America through the bloody campaigns of the conquistadors – an empire-building exercise that shaped the continent as we know it today. Many Spanish words should be more or less recognisable to English speakers on account of the two languages’ common Latin roots. Words that use the suffix -ción in Spanish often use -tion in English, for example, like celebration and celebración. Inverted punctuation is a phenomenon totally unique to written Spanish. By providing upside-down question and exclamation marks, typesetters indicate where an interrogative or exclamatory clause begins as well as ends. Some common Spanish loanwords in English include albino, aficionado, alligator – an Anglicisation of el lagarto, ‘the lizard’ – and avocado. Even North America retains place names dating back to the times of the conquistadors – think of Los Angeles and San Francisco, for example. Today, Spanish is one of the official languages of the United Nations and the European Union. As already mentioned, it is spoken natively not just in Spain, but in a long list of Latin American countries. It was the Philippines official language until the late 1980s, still holds official status in Equatorial Guinea, and is widely spoken in Gibraltar, Andorra, Morocco and elsewhere. Over in the US, immigration has resulted in a sizeable Spanish-speaking population. In states such as New Mexico, and even major metropolitan centres like New York and San Francisco, Spanish is used in public services and signage. It is the country’s most commonly taught second language. With the second-highest number of speakers of any language in the world, Spanish skills can provide a competitive advantage to almost any company planning to do business outside of the anglosphere. A 2011 Bloomberg report called it the fourth most important non-English language for business, hot on the heels of usual suspects like Mandarin and Arabic. 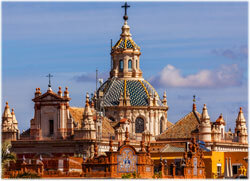 Spain itself is one of Europe’s biggest economies and ergo a major trade partner for the UK. Even after taking a blow in the 2008 recession, the country has continued to attract tourists and ramp up exports. One of Spain’s top industries is automotive manufacturing, with SEAT headquartered in Catalonia and countless other carmakers operating plants in the country. The renewable energy sector is also on the rise. Spain is one of the world’s biggest producers of wind power, which as of 2013 provides over 20 per cent of the country’s electricity – more than any other energy source, figures from industry body AEE reveal. No other nation can yet make the same claim. Finally, Spain’s tourism sector continues to boom. According to figures from the Madrid-based UN World Tourism Organization, it welcomed a total of almost 60 million travellers through 2013 – the third highest number of any country. Having a high level interpreter to speak with, great knowledge, quick response and accurate service, I highly recommended this service to anyone. Full star rated. Just to say thank you very much for the efficient, effective and accurate work you completed for Je Joue in 5 languages. We work to tight deadlines and are a small, lean business - so we have really appreciated your willingness to work around our schedule. I would just like to thank you for an excellent job in translating an 80 page report from English to Spanish for the telecommunications regulator in Mexico. The translations are excellent, and were delivered with quite amazing speed, meaning our multi-lingual website was operational ahead of schedule. Not only that, but your level of customer service is excellent - most attentive and professional. We have complex, multi-language requirements in our research projects and the translations received are done very quickly and are of high quality.